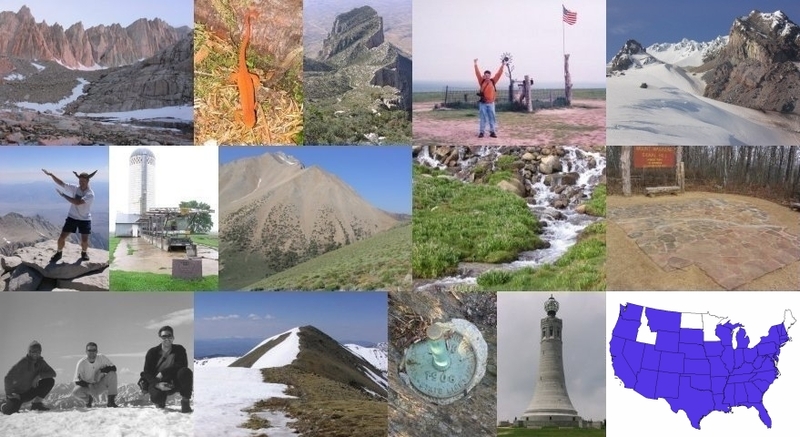 USA State Highpoints, some with links to trip reports and other info, as well as date completed if I have reached the top. If there is a Completed date, then I have reached the highpoint. If there is a gray link, then I perhaps have some background information and/or future plans, somewhat in an unedited 'under-construction' format. USA National Park Highpoints, some with links to trip reports and other info, as well as date completed if I have reached the top. Mexico State Highpoints. Several of the Mexican state highpoints are not precisely known. Highpoints listed in gray are those I am most interested in.